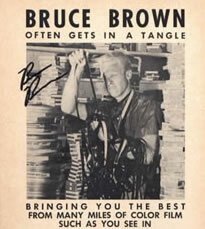 Bruce Brown "1994 Surf Culture"
Brown's films include Slippery When Wet (1958), Surf Crazy (1959), Barefoot Adventure (1960), Surfing Hollow Days (1961), Waterlogged (1962), and his best known film, The Endless Summer (1966) which received a nationwide theatrical release in 1966. 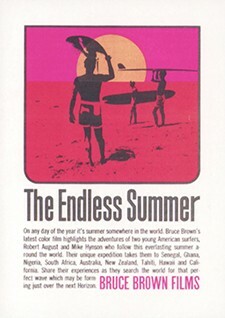 Considered among the most influential in the genre, The Endless Summer follows surfers Mike Hynson and Robert August around the world. 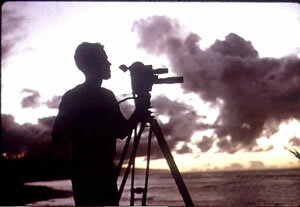 Thirty years later, Brown filmed The Endless Summer II with his son in 1994. 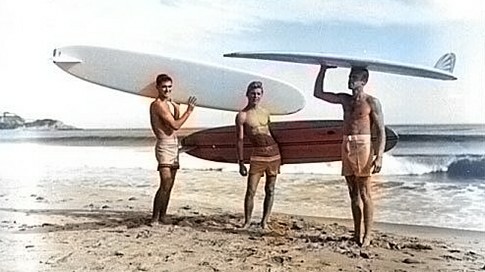 He has also made a number of short films including The Wet Set, featuring the Hobie-MacGregor Sportswear Surf Team and one of the earliest skateboarding films, America's Newest Sport, presenting the Hobie Super Surfer Skateboard Team. 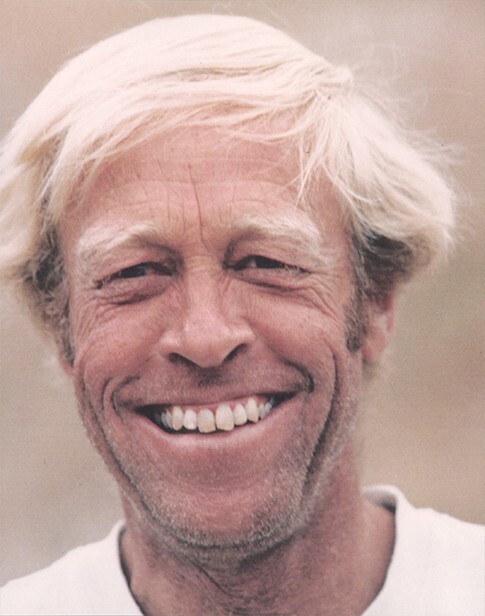 These short films, along with some unused footage from The Endless Summer, were included in the DVD Surfin' Shorts, as part of the Golden Years of Surf collection. Brown has gone beyond surfing a few times with films about motorcycle sport, On Any Sunday (1971), which is held in high regard as one of the best motorcycle documentaries of all time, On Any Sunday II (1981), Baja 1000 Classic (1991), and On Any Sunday, revisited (2000). He made a guest appearance in the SpongeBob SquarePants episode "SpongeBob vs. The Big One".